that are adorable, friendly, healthy and in need of a new home. Are you looking for a German Shepherd puppy right now? Having problems finding one that fits into your budget? Read on to find out even more. So, if you want to find out even more about this why not check out the list of my best tips below to help guide you in your search to find top quality, healthy, reasonably priced, cheap German Shepherd puppies and dogs. If you're thinking about adopting a German Shepherd puppy why not check out a specialized German Shepherd dog rescue club in your area? 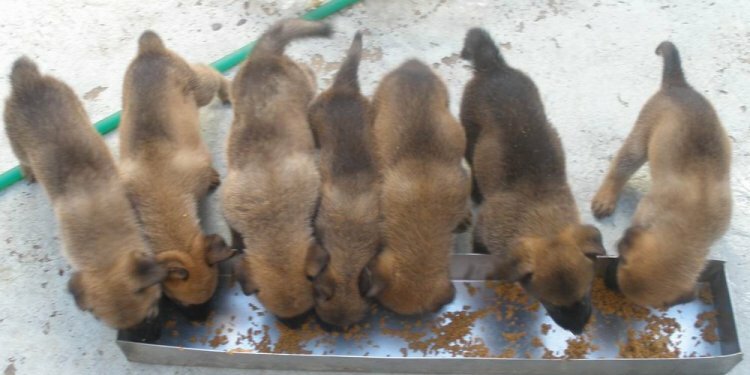 This is one of the best ways to find great, adorable and wonderful German Shepherd puppies for less than from a breeder. GSD rescues specialize in saving as many lost, abused, or unwanted German Shepherds as they can and their main goal is to find new, long term homes for them. Most of the dogs these rescues have are older than 1 year in age, but from time to time they often have German Shepherd puppies available too. Just ask them what they have available and discuss what you are looking for with them. Fees for German Shepherd dogs and puppies adopted from a GSD rescue vary but you can always find out by doing online research or by calling or emailing the GSD rescue organization for more information. These fees usually includes spaying/neutering, vaccinations, a heartworm test and maybe even a veterinary checkup. I'll bet you're thinking to yourself "Really?" Yes, really, really. It is very possible to find wonderful German Shepherd Puppies at your local animal shelter. These animals have been turned in for some reason and need a second chance at life and you're looking for a free, or at least cheap, German Shepherd dog or puppy. So there you go - match made in heaven (hopefully)! And if they don't currently have any GSD puppies, no problem, just check back often or maybe even ask them to contact you whenever they do get one in. It can really be worth the wait if you're patient! If you are still looking for free German Shepherd puppies and want a new doggie companion and are having problems finding a purebred German Shepherd why not consider adopting a GSD mix dog or puppy? You'll be surprised just how much GSD mixes have in common with their pure bred GSD counterparts. With all those unique GSD mixes out there to choose from, there's sure to be one one dog or puppy that is the perfect one for you. Adopting a German Shepherd mix puppy or dog can cost you a little too depending on where you find your next pet but this fee often times includes more than just the adoption fee so do your research first to see exactly what is covered in the adoption fees. • Don't look for free animals on places like Craigslist - they are often nothing more than a scam. • Don't buy a puppy from a puppy mill - you will not get a healthy puppy and will encourage the puppy mill to stay in business with your purchase! • Don't look for free dogs on the internet - again, these type ads are often nothing more than a scam to get your money by working on your sympathies. So, if you follow the tips above, do your research and get all the referrals you can your chances of finding the best, healthiest free german shepherd puppies will increase dramatically. Good luck!